Photo: © UN Photo/Mark Garten. Secretary-General Ban Ki-moon is calling for the laying down of arms and a 24-hour cease-fire on 21 September, which is observed around the world each year as the International Day of Peace. The United Nations General Assembly established the International Day of Peace in 1981 as an opportunity for people around the world to promote the resolution of conflict and to observe a cessation of hostilities. “On this day, in the lead-up to the Day of Peace, I am asking all partners to lend their voices to this call for a laying down of arms, and to work non-stop in the days to come to bring about a 24-hour cease-fire on September 21st,” Mr. Ban said in a statement issued on Thursday. “Let’s make this International Day of Peace a day without violence, and a day of forgiveness. If, for one day, we can live in a world without aggression and hostility, we can imagine how much more is possible,” he added. The theme of this year’s commemoration is “Partnerships for Peace – Dignity for All,” which aims to highlight the importance of all segments of society to work together to strive for peace. The work of the UN would not be possible without the thousands of partnerships each year between governments, civil society, the private sector, faith-based groups and other non-governmental organizations that are needed to support the Organization in achieving its goals. 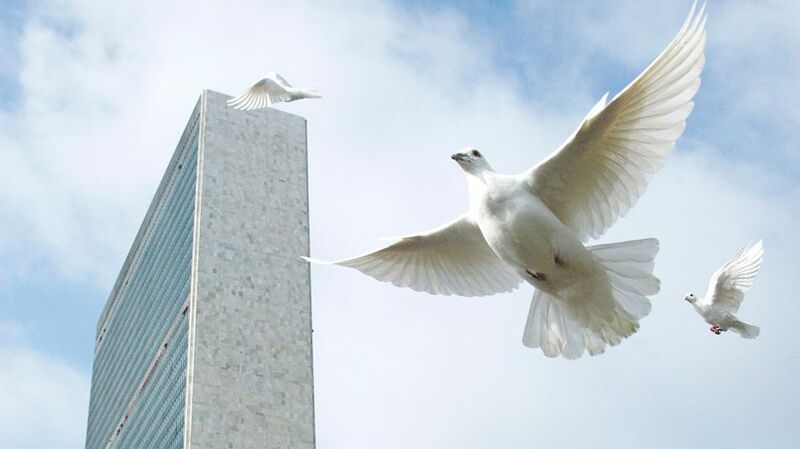 Celebrations for the International Day of Peace will include a Peace Bell Ceremony at UN Headquarters in New York, featuring senior UN officials and Messengers of Peace, as well as a student videoconference. UN offices worldwide, including peacekeeping operations, will also be holding events with local communities.